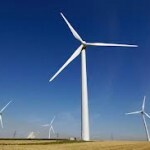 Asphodel-Norwood – Council here wants Queen’s Park to put in place a one-year moratorium on the construction of industrial wind turbines in the province. Council last week joined a growing list of municipalities supporting the Municipality of Arran-Elderslie’s resolution calling on the province to “invoke an immediate moratorium” until concerns about the impact of wind farms on human health, property values, the rural landscape and wildlife habitats have been addressed. Hello, my name is Gary Hoopdeedoopdee and I represent the Acme wind turbine company from Spain. Hi, my name is Jim — what can I do for you? 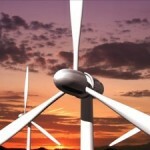 The proposal to install wind turbines on Mt. Massaemet (Mass.) has already dramatically lowered all property values in the 11 square miles of Shelburne (MA) and Buckland (MA) lying within the most impacted two miles of the turbines. The turbines already cast a shadow on the title and expected benefits to residential property.